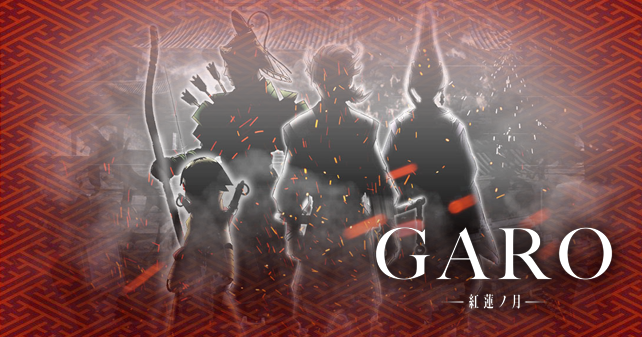 Alors que l’on pouvait croire que Bandai avait laissé tomber la gamme des Ranger Key après Kyoryuger, c’est maintenant un nouvel ensemble qui voit le jour. Celui-ci est présenté comme un ensemble de douze Ranger Key perdues avec pour objectif de compléter certaines séries qui étaient incomplètes jusque là. While we could believe that Bandai had abandoned the toyline of Ranger Key after Kyoryuger, now is a new set that is created. 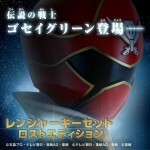 This is presented as a set of twelve lost Ranger Key with the aim to complete some series that were incomplete so far. 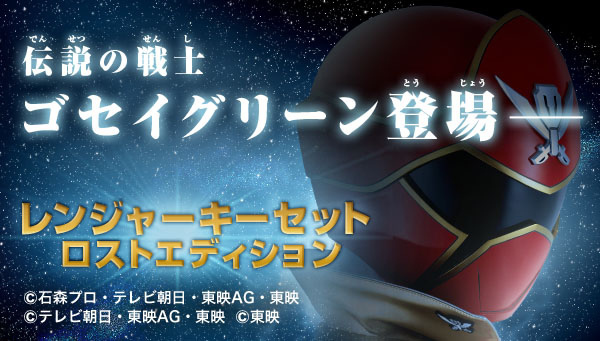 Une majorité de cet ensemble est composé de la plupart des membres des Dobutsu Sentai Go-Busters, l’équipe alternative apparue dans le film Kaettekita Tokumei Sentai Go-Busters VS Dobutsu Sentai Go-Busters : Red Cheetah, Blue Gorilla, Yellow Rabbit, Gold Beetle, Silver Stag, Green Hippopotamus et Black Puma. 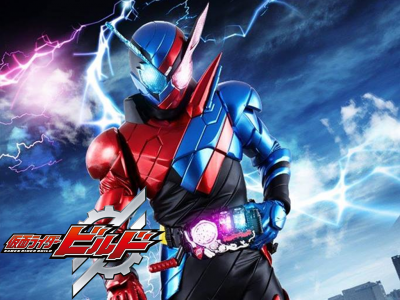 La suite de l’ensemble est essentiellement composé de : DekaBright (de la série Tokuso Sentai Dekaranger), DekaGold (du premier film Dekaranger), HurricaneDark (du film Ninpu Sentai Hurricaneger : 10 Years After) et X1 Mask (de la série Hikari Sentai Maskman). Il reste néanmoins une Ranger Key qui est pour le moment cachée, mais pas de surprise puisqu’elle est cependant explicitement nommée et cette douzième Ranger Key sera GoseiGreen de la série Tenso Sentai Goseiger. 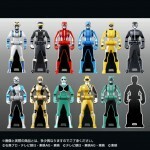 A majority of this set consists of most members of the Dobutsu Sentai Go-Busters, the alternative team appeared in the Kaettekita Tokumei Sentai Go-Busters VS Dobutsu Sentai Go-Busters movie : Red Cheetah, Blue Gorilla, Yellow Rabbit, Gold Beetle, Silver Stag, Green Hippopotamus and Black Puma. 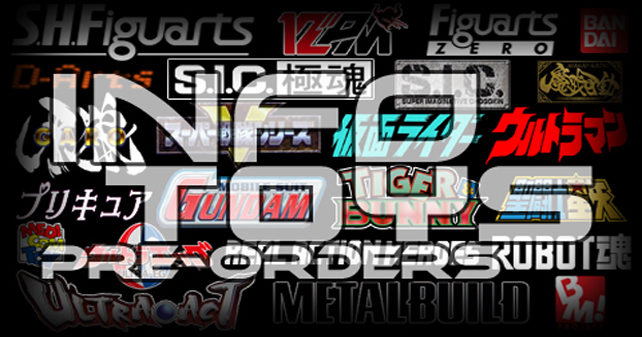 The rest of the set is essentially composed of : DekaBright (from the Tokuso Sentai Dekaranger series), DekaGold (from the first Dekaranger movie), HurricaneDark (from the movie Ninpu Sentai Hurricaneger : 10 Years After) and X1 Mask (from the Hikari Sentai Maskman series). 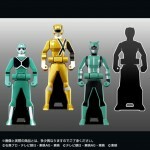 It remains a Ranger Key that is hidden for now, but no surprise, however, since it is explicitly named and this twelfth Ranger Key will be GoseiGreen from the Tenso Sentai Goseiger series. 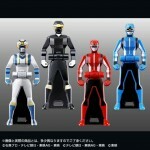 Ce Ranger Key Set LOST EDITION sera disponible en Décembre prochain et sera distribué par le site de Bandai Premium. 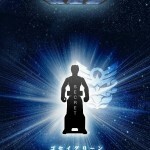 En outre, sur la même page se trouve une annonce de Ranger Key accompagnée de Shuppatsu Shinko, laissant présager de prochaines Ranger Key pour la franchise Ressha Sentai Toqger. Pour l’instant rien ne dit si ces futures Ranger Key seront incluses dans ce Ranger Key Set LOST EDITION ou dans un ensemble indépendant. 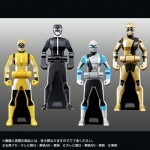 This Ranger Key Set LOST EDITION will be available in next December and will be distributed by the Bandai Premium website. 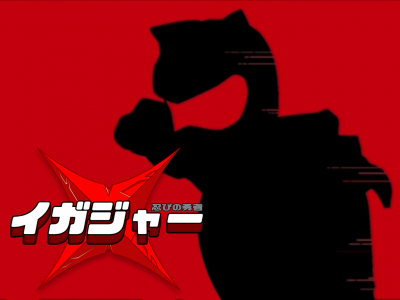 In addition, on the same page there is an advertisement for Ranger Key accompanied by Shuppatsu Shinko, foreshadowing of coming of Ranger Key from the Ressha Sentai Toqger franchise. For now, nothing says if these future Ranger Key will be included in this Ranger Key Set LOST EDITION or an independent set.